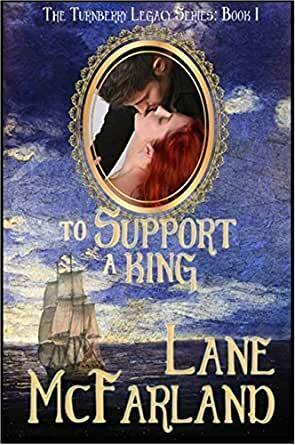 To Support A King (The Turnberry Legacy Book 1) - Kindle edition by Lane McFarland. Romance Kindle eBooks @ Amazon.com. The MacAndrew clan provides Catriona Butler something her Irish home could not, a safe haven. But when she receives a missive her brother is imprisoned and will be executed unless acceptable éraic can be obtained, she must return to her homeland. Mangus agrees to take Catriona to Ireland and vows she will not become a distraction, but he longs to be near her. Catriona witnesses Mangus’s fierce anger and grows distrustful. After a life of suffering her father’s vicious temper, she is skeptical of anyone with a penchant for violence. She attempts to keep her distance, but her traitorous heart pulls her in Mangus’s direction. This first book of the Turnberry Legacy is a great beginning to the series. It has everything you want in a Scottish Medieval -- a damsel in distress, a tortured hero you can fall in love with, and villains galore trying to obstruct their path to happiness. The description and imagery in this book is fabulous. Of course, I’ve come to expect that in Ms. MacFarland’s books, she makes you feel like you are right there with the characters. I cannot say enough great things about Mangus and Catriona. Both with horrible pasts, they each must find a way to put all the pain behind them and look to the future. Catriona is trying to save her brother and Mangus must protect his clan. And in doing so, they each must make difficult decisions and forego their wants for the good of others, never putting themselves first. But in the end, for love, both of them will make any sacrifice. I can’t wait for the next book in the series. I do hope Mangus’s sister and Catriona’s brother get their own books!! 5.0 out of 5 starsI can hardly wait for the next one! 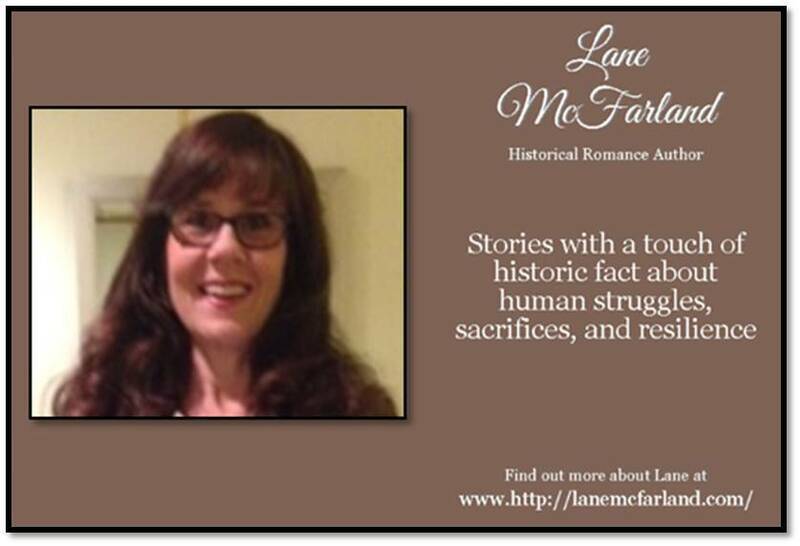 Lane McFarland's books are always well-researched and skillfully written. To Support A King continues Ms McFarland's legacy with a dark, tortured hero and a woman who will do anything to save him. Readers can look forward to numerous twists and turns, with a shocker toward the end. Filled with beautifully descriptive scenes and a wonderful cast of characters, this book is difficult to put down. I fell in love with secondary characters as well as the main characters, and I'm looking forward to their stories as the series unfolds. I recommend this for anyone who loves dark heroes, strong heroines, and villians who get their just desserts. 5.0 out of 5 starsIf you love Historical Romance then this is the book for you! This is the second book I've read from Lane MacFarland. To support a King is the first book of the Turnberry Legacy. I love reading books from medieval Scotland. The author's ability to transport the reader into the time period in vivid detail enriches the journey as the characters travel from Scotland to Ireland. The action packed novel kept me turning the pages to see if Catriona would save the life of her brother or the man she loves, the Scottish Laird, Mangus. Oops...No spoilers! Mangus and Catriona's love story evolves from sweet to steamy as the narrative pushes forward. The twist at the end is brilliant! If you love Historical Romance then this is the book for you! This is the second book I’ve read by Lane McFarland. The first was Elsbeth, the fourth book of The Daughters of Alastair MacDougall series. Both books take place in the Scottish Highlands during the medieval period, so if you like historicals and want a break from regency, these are a great choice. McFarland is a gifted story teller, which is why I like her books. Both books have a lot of beautifully written, memorable paragraphs. I bought a paperback version of To Support a King. When I was a standing-on-the-train-D.C. commuter, I read mostly in electronic format, but now I find that I prefer being off the devices and holding the book in my hands and turning the pages. This read has a gorgeous cover, and I was drawn to its classic look right away. I don’t know who did the cover design, but it looks classy. It discloses the setting for part of the story and has a cameo of the main characters, Mangus and Catriona—nothing embarrassing to be seen with at Starbucks. I read to escape, and have to escape to read quite literally, so I do most of my reading in the bathtub. You know when you’re reading in the bathtub, you don’t want anything too clunky, (Outlander, anyone? ), so to me, size matters. The text is comfortable size as well, since I don’t like to wear glasses in the bathtub. In TSAK, after learning of her brother’s imprisonment across the sea in Ireland, I quite like the scene where Catriona takes out her mother’s jewel box, so desperately missing her love and guidance. The passages where Mangus arrives home and passes through the keep are visually written with some light touches, too. While not burdensome with back story, the first couple chapters are a little slower paced than the rest of the book. They do lay a good foundation for who Mangus is, what he’s been through, and what his problems are with his shipping business. He carries a lot of guilt caused by his quick temper, but his crew and clansmen are supportive of him, and there is some fun interplay between him and his men throughout the story. Mangus and Catriona are attracted to each other right away, but neither has the time for the other—Mangus must find who ambushed and killed the crew of one of his ships, and Cat has to save her brother. I did wonder that since Cat had lived several years with Mangus’ family (his sister is her friend), didn’t she have some other interaction with him or even see him before? I got the impression that she hadn’t. After the introduction of Robert the Bruce in Chapter 3, the book takes off running. Each chapter is a page turner, and I found myself looking forward to the time I could grab a few minutes and get back into the story. Mangus accepts the mission given him by the Bruce to unite men of importance behind a single leader, so the reader knows he’s not all about himself or just his own clan, despite the reputation he may have earned. I liked Cat quite a bit, and without giving away the plot she really sticks her neck out for Mangus and her brother—the villain holding him was vile beyond crude, and I had to keep reminding myself that customs in 1301 are just nothing like life today. Amidst the era’s violent events and uncertainty McFarland delivers a well-rounded tale of villains and heroes. Many scenes between Mangus and Cat and are sweet, like when he shows her sailing by stars, and the northern lights. And this is why we read romance—for the courtship. Despite the odds of their success—Mangus’ temper gets him in trouble again—I found myself cheering for them, hoping that Cat would be rewarded and not be made to suffer horribly like so many women (her mother, for instance) really did back then, dependent on the favor of the men governing their lives. The hero and heroine build a relationship based on love and mutual respect. With a medium heat level, I recommend it for any reader. I look forward to reading another of McFarland’s books, and I know this one will be a re-read for me. 5.0 out of 5 starsAn Exciting Adventure!!! Love this new series! This book is packed with action and adventure. There are so many twists and turns which keep the readers engaged. Loved the romance between Catriona and Mangus. They both had to overcome their personal hurdles but they were also willing to make sacrifices in order to save and protect each other. Truly an amazing and engaging story! Highly recommend! Lane McFarland has certainly outdone herself once again. You can’t resist falling in love with all her characters. This is another one of those “I can’t put it down” books. Lane has the talent of drawing you into her stories right from the beginning. You can’t help but enjoy her excellent descriptions of the places she takes you to, while immediately getting involved with the characters as they tug at your heart. I loved her entire first series, and was certainly not dissapointed by her newest release. I can’t wait to read more! I highly recommend Lane’s books to anyone that hasn’t read one yet. Another fantastic book, well written, Lane McFarland! 5.0 out of 5 starsFive Stars For Lane McFarland!! Hurray for Lane McFarland's latest book, "To Support A King"...WOW!!! What an INCREDIBLE read filled with vibrant characters(savory as well as unsavory), history, amazing journeys, twists and turns, excitement, heart rendering moments, and an "ohhh my goodness" moment in the end.... ALL you could ask for in a book and more...truly one you can't put down until the last page is turned. Definitely recommend this as a "must read" ... you're going to love it! !